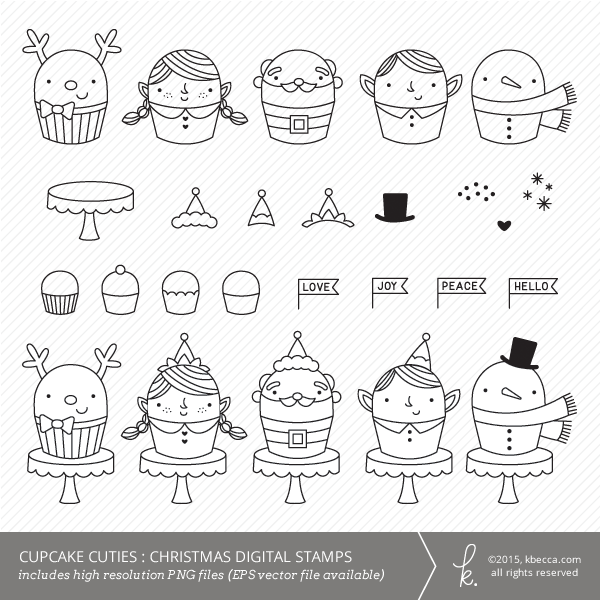 This totally cute set of cupcake-themed Christmas digital stamps is just the thing for everything from handmade holiday cards to party invitations and gift tags. 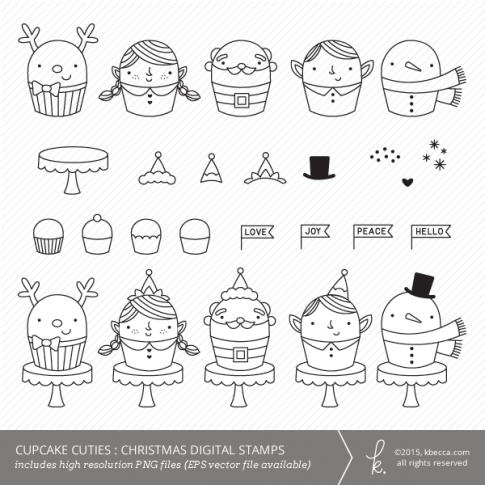 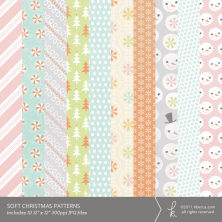 Set features 26 different digital stamps, including reindeer, Santa Claus, snowman, and boy and girl elf cupcakes, plus four cupcake flags, a cake stand, hats for the cupcakes, snow and sparkle patterns, and a heart with transparent backgrounds, plus five combination images with white fills (bottom row in preview). 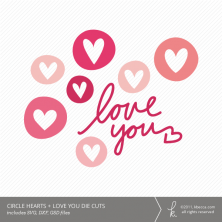 A single EPS vector file with all of the digital stamps is included with specific licenses (see dropdown).